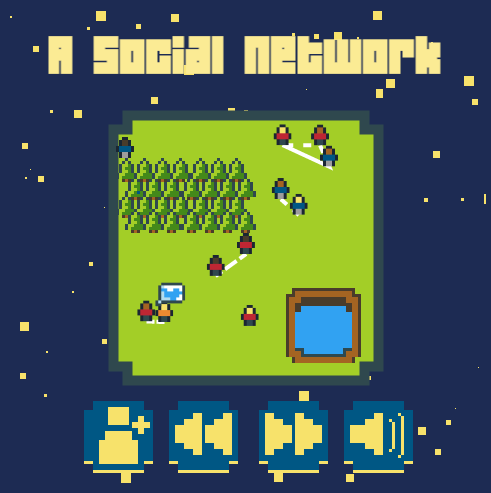 A little social network simulation. Connect all of the computers and people! You can suggest where they move by placing beacons on the map. It's pretty light on gameplay but it can be a fun to watch the people amble about and make friends for a little bit.